Can’t find what you’re looking for? Please send an email to laneypio@peralta.edu. 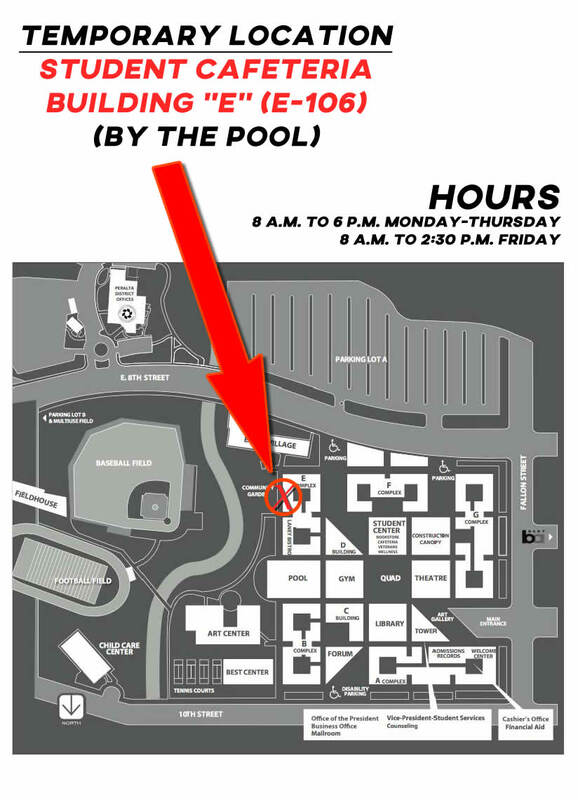 NOTE: On Monday, April 8th the temporary location of the cafeteria will be closed, but you can stop for free coffee and muffins from 8 a.m. – 11 a.m. at the Tower Administration Lobby. 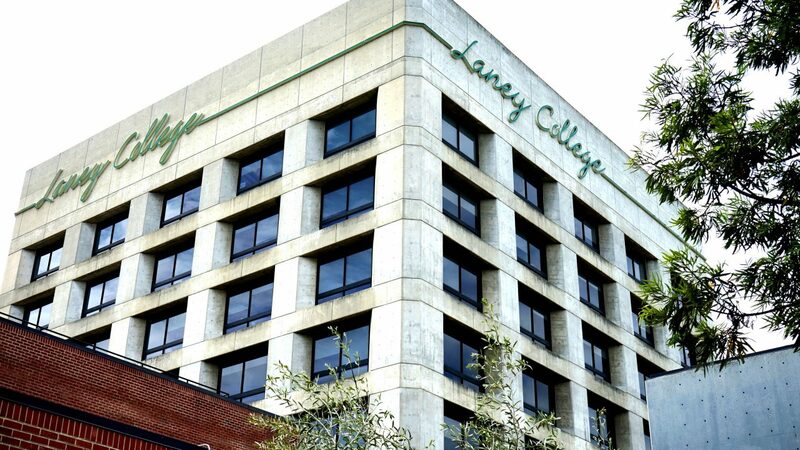 NOTE: The Laney Bistro will still be open at regular hours from 11:45 a.m. to 1 p.m. Monday through Friday. Food Service Manager Neil Burmenko: 510-464-3403; office location, E-101. The lobby of the Tower Administration Building will have chairs and tables set up beginning Monday, April 8th where you can meet and study. For all other resource centers, click here. The Eagles Food Pantry will be closed until further notice, but fresh produce distributions will continue every 1st and 3rd Tuesday of each month at the Quad from 2 p.m. to 4 p.m.
You can also access the food pantry at Lake Merritt United Methodist Church, every 2nd and 4th Tuesday of each month from 11:30 a.m. to 1 p.m. Address: 1330 Lakeshore Avenue, Oakland.